You’d expect The Planet Earth Cleaning Company to clean – and we do…. but we also do a whole lot more for your work environment and the natural environment. We care about the air your staff and customers breathe. 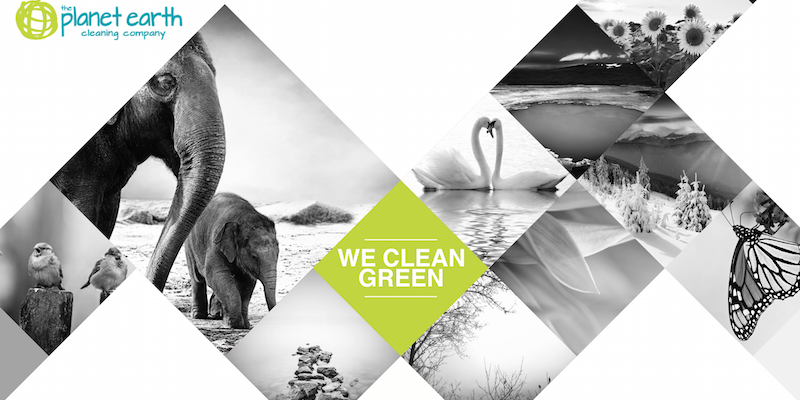 We care about the chemicals our cleaners are exposed to and the effects they could have on the environment. Which is why we only use genuine eco-friendly cleaning products. Staff can breathe easy, cleaners can breathe confidently and the planet gets a breather too! We are committed to, yet practical about, sustainability and we know how to balance commercial realities with the desire to do the right thing environmentally. So we train our staff to achieve the greatest results and efficiencies using the very greenest products and systems available. Above all, we know that maintaining consistently high standards of cleanliness in the workplace depends on good management and this is where we excel. Our smart people management and reporting systems are what set us apart and keeps our client retention rates high. They really like us and what we do! You can count on our top level of service across all of our cleaning offerings from office and commercial cleaning to recycling education.